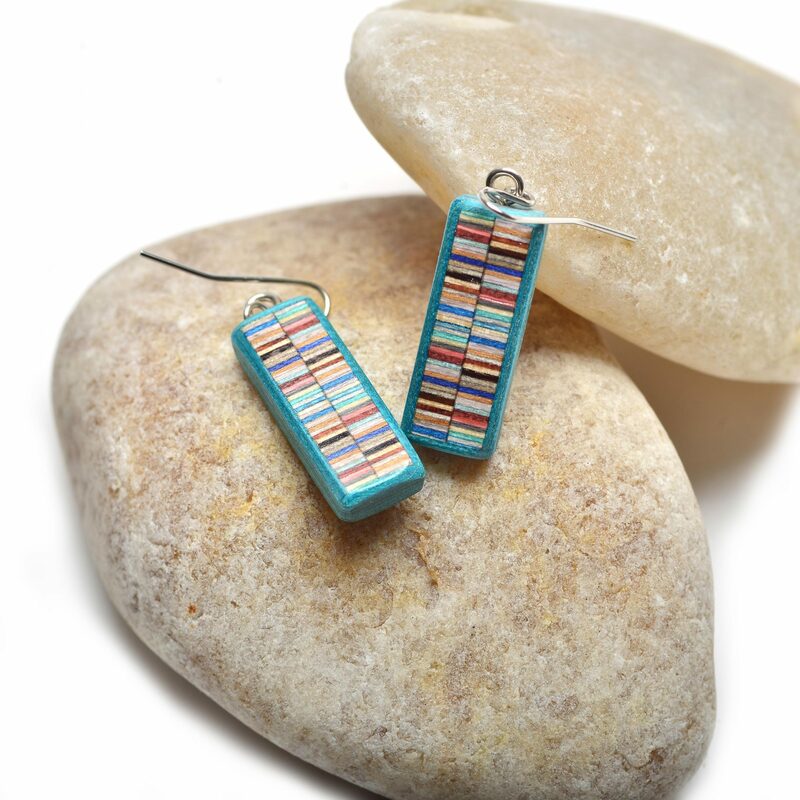 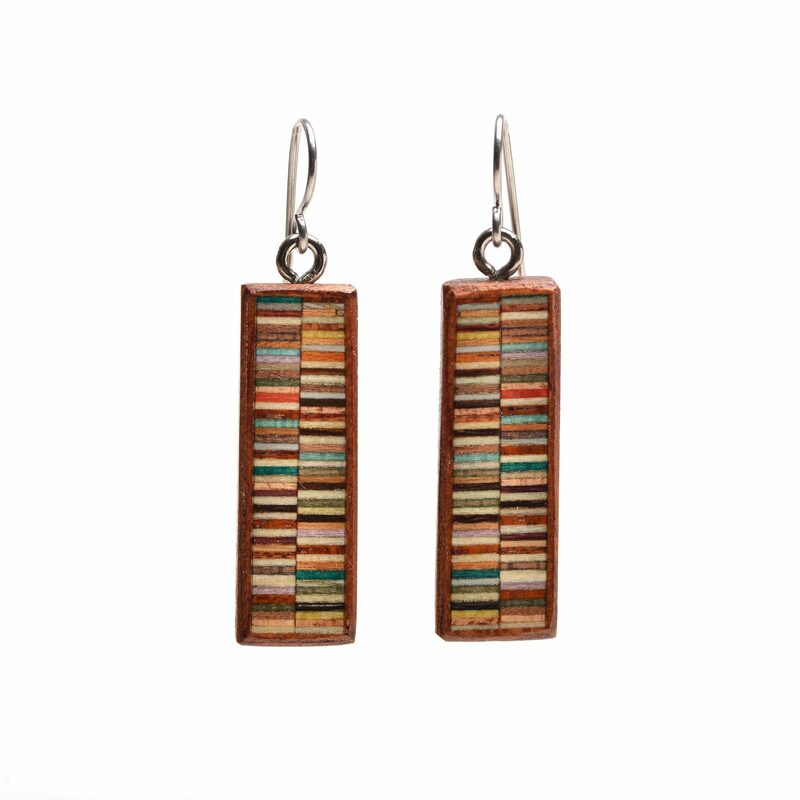 Colorful layered wooden earrings. 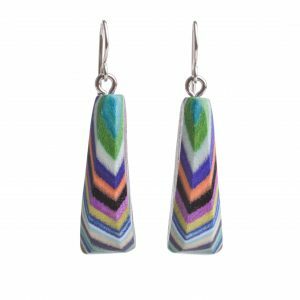 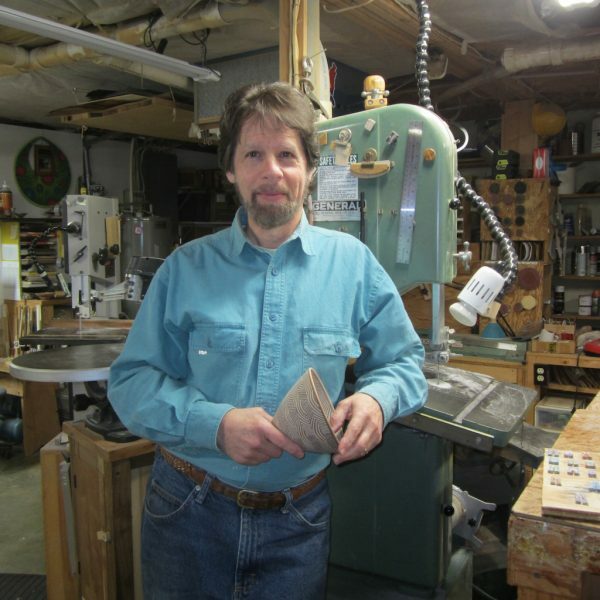 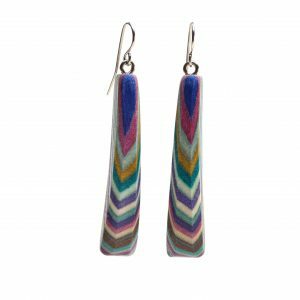 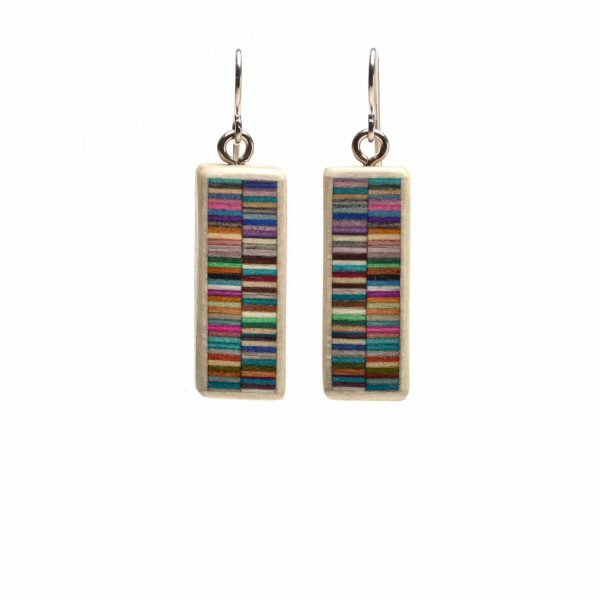 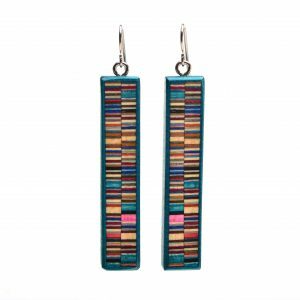 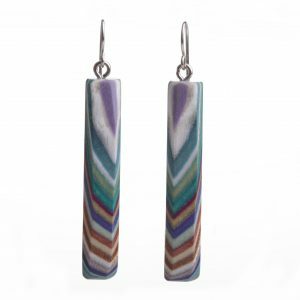 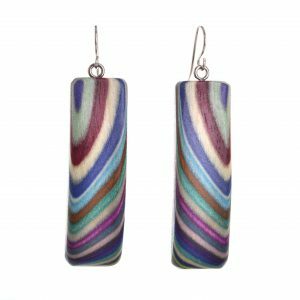 Woodworker Buzz Coren creates these earrings by layering a broad palette of natural and colored hardwood veneers, most of which he pressure dyes himself into stacks of 300 or less. The lamination is cut into blocks, then into curves and smaller shapes. 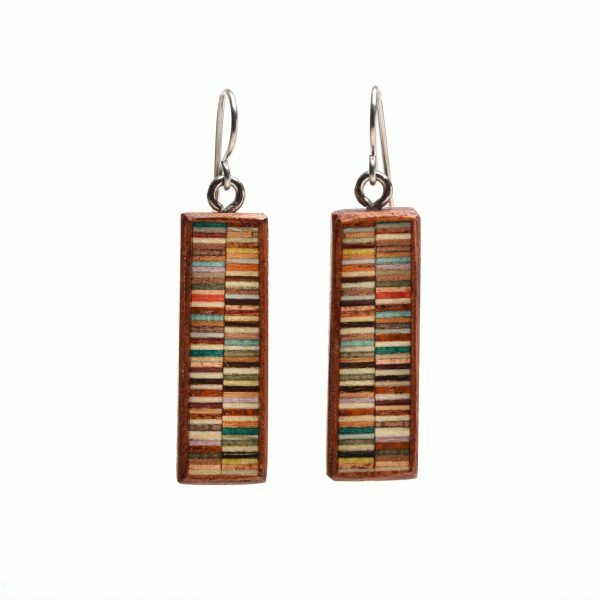 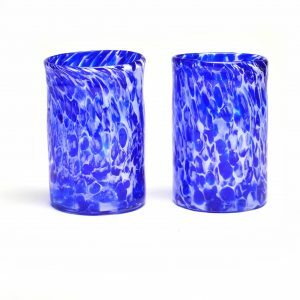 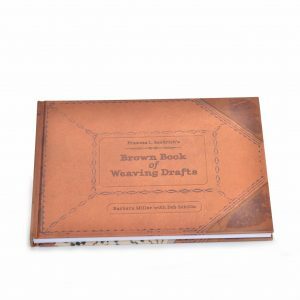 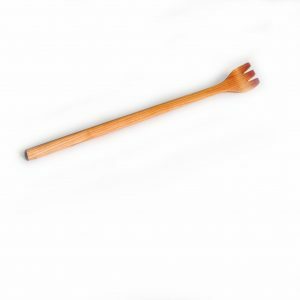 These are made into jewelry by carefully cutting them on band saws and refining with a high speed sander. Earrings come in a rainbow of colors, expect a surprise.